It has been a while since I’ve published any new designs, but rest assured, there are several coming in the near future! This is a design I’ve worked on for quite a while and for a long time it was put on hold, but I picked it up again in the beginning of this year. I almost have lost count of how many cross-over versions I’ve tested, but I think this 8th version and second baffle version will be the final one. I think this is one of the best speakers I’ve built, if not the best. It’s addictive to listen to this speaker. Everything just falls in place. The treble is the most natural I’ve heard, very effortless and detailed, yet without any harshness. The RAAL Ribbon is truly amazing and its sound character isn’t like anything else I’ve heard. As soon as you go back and listen to a dome tweeter design, even high end ones, none come close to the RAAL’s natural and effortless sound. With that said, it also have some limitations e.g. it sounds the best from 3kHz and up with a LR4 topology. 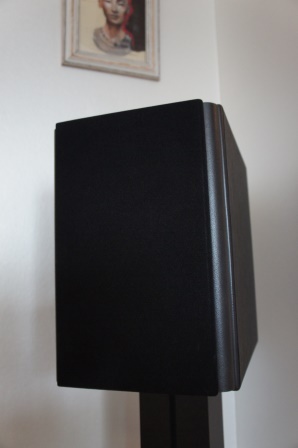 It also has a narrower vertical listening sweet spot compared to a dome tweeter even though the RAAL Ribbon with its foam pads is better than most tall ribbons. With this in mind and properly used, they are simply stunning. I know this statement is like throwing gasoline on fire in the DIY community as it seems that RAAL ribbons have divided people into two camps. Those who loves it and those who thinks they are expensive and overrated. 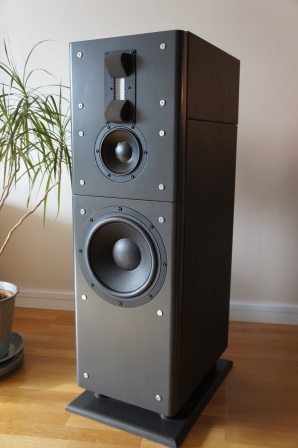 Yes, they are very expensive, but I think that the people who are against it, either haven’t listened to the RAAL’s or haven’t listened to them in a properly deigned loudspeaker. 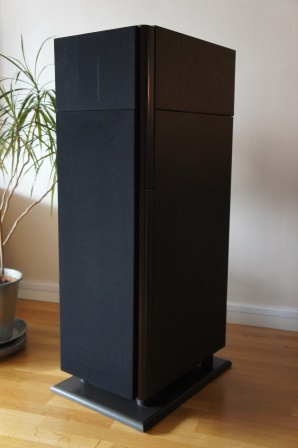 The Audio Technology 15H 52 12 06 SDKM mid-range works very well together with the RAAL as it match both in resolution and speed to the RAAL ribbon character. In fact, as does the Audio Technology 10C 77 25 10 KAP woofer. 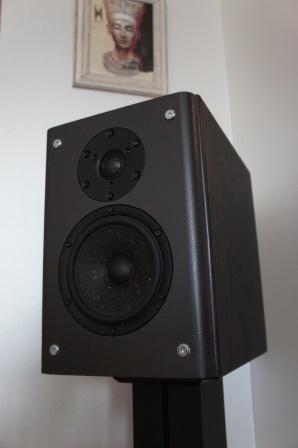 This loudspeaker is fast with very nice micro dynamics and they don’t need much power to bloom out. 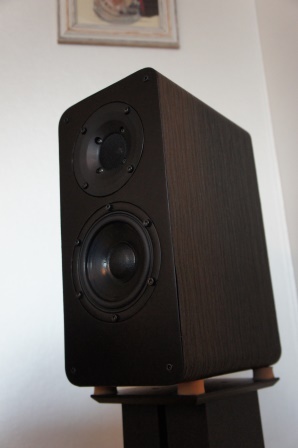 This is a speaker that can be listened to at low listening levels and still be enjoyable. There are still some fine tuning to do before final measurements and publishing, e.g. voicing mid and tweeter levels. As with the Sequence Three – Grand Reference, this design has been prototyped in many cross-over versions and I’m still evaluating if the 5th or 6th version will be the final published one. At the moment the 6th version is the favorite one, simply because its tweeter cross-over section is so simple in its construction and e.g. 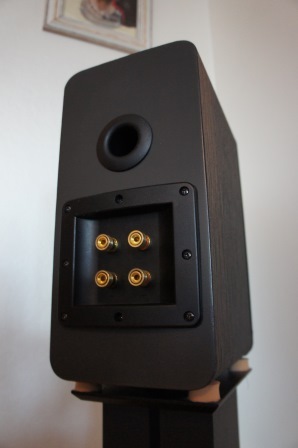 doesn’t need a resistor in series with the driver unit to attenuate the tweeter level. I’m still struggling to decide which of the version that sounds the best. It might result in two cross-over versions to be published and where the reader can decide by themselves, which one to choose. These two designs are finished, but I need to find the time to do the write up and publishing. This is a small SEAS 4.5” design using the famous DXT tweeter and I must say that these designs are the most successful ones using the DXT tweeter I’ve done so far. 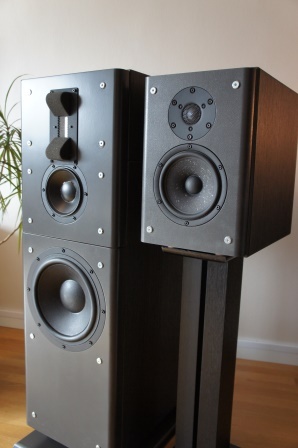 The Excellence Two – Mini Monitor DXT is the high end version of the two and it’s something special. It’s very low distorting and has a powerful bass despite its small size. There will also be more driver unit measurements later this year and some more designs like a small floor standing 2-way, a large 2-way stand mount as well as some designs with a more moderate price tag. Thank you for all positive feedback I get from you! It inspires me to continue and share my projects with all the readers. Last month I had so many readers so my website’s available bandwidth almost wasn’t enough. In the future I might have to upgrade my website’s bandwidth and any contribution would be grateful. Read full article |Comments Off on Construction updates! This year it was interesting to see that 95% of the exhibitors used computer or streaming based music sources. I do think it’s the future and I’ve personally used it for years.